Curious about the origins of Green-Wood Cemetery and the individual stories and biographies of its “permanent residents”? Or just fascinated by the richness and depth of the vast number of monuments, sculptures, mausolea, and memorials that adorn the grounds? 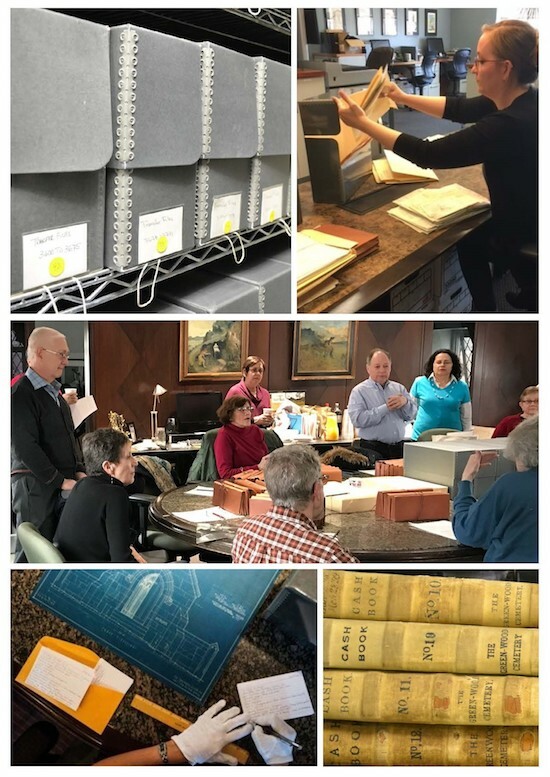 As a volunteer, The Green-Wood Historic Fund offers you a multitude of ways to satisfy your curiosity: you can handle and preserve original and primary sources materials; make a lasting contribution to history by participating in varied research projects; or help to make our wealth of archival and historical records known and accessible. • Archival processing and preservation of 19th and 20th century documents, architectural drawings, photographs, and records. • Digitization of manuscripts and pictorial records. • Creation of archival database entries and programs. • Conducted in depth historical and biographical research supporting varied initiatives, publications and exhibitions about the cemetery and its “permanent residents”. Our historical records and collections date back to the 1830’s, so there is much to do. So please join us, today! • Volunteers and interns must be able to commit to a minimum of 5 hours per week. • Students interested in a general, noncredit bearing or a credit bearing internship must be pursuing a career in museum studies, archives, or a related field of study. For a credit bearing internship, you must submit written confirmation from your school or program stating that you will receive course credit for hours completed. • Recent graduates wanting to gain additional hands on experience are also encouraged to apply.